Ian Harrison has been styling Brisbane's best dressed men with passion and dedication for over 50 years. He started in the shoe business and in 1986 he opened Harrison's menswear on Racecourse rd. His knowledge and expertise on styling and tailoring is exceptional. He always goes the extra mile for his customers and they love his professional yet informal approach. Ian has become a menswear icon in the Brisbane fashion scene and beyond. For many years we have been know for our outstanding customer service and exceptional selection of garments, shoes and accessories. We offer some of the finest menswear brands in the world, from contemporary designs to classic styles. Over the years we have developed strong and loyal relationships with our suppliers, therefore we can offer you unique products and great value for money. "Guaranteed quality" is our motto, whether we are talking about our customer service or our products. Our main focus is making sure our customers are getting the service and attention they deserve and we'd like to make sure that your shopping experience with us is beyond what you'd expect. 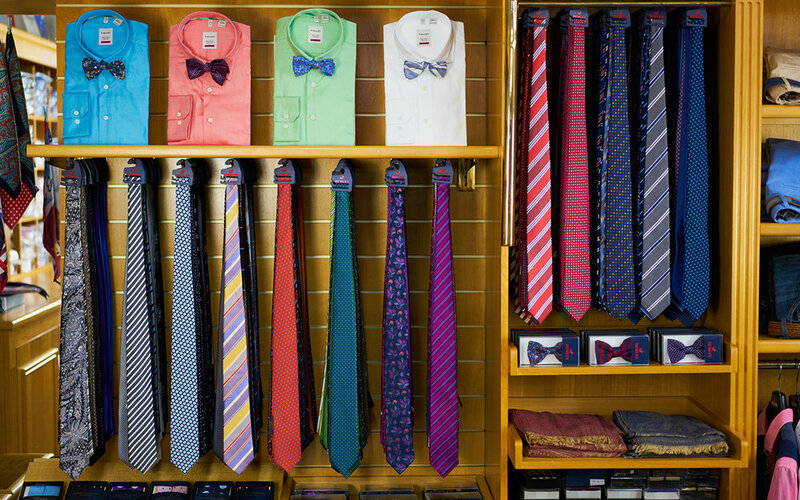 We pride ourselves on being an accessible store for men of all ages and sizes. Our collections exist out of a diverse range of everyday business wear, made to measure shirts and suits and casual weekend wear.